Bob Jones was born in 1943 in Milwaukee, Wisconsin. He entered the U.S. Military Academy at West Point in 1961, and graduated with a commission as a 2d Lt in the U.S. Air Force on June 9, 1965. Lt Jones then entered Undergraduate Pilot Training and he was awarded his pilot wings at Laughlin AFB, Texas, in September 1966. After completing F-4 Phantom II Combat Crew Training and Pilot Systems Operator Training, he was assigned to the 4th Tactical Fighter Squadron at Eglin AFB, Florida, from March to July 1967. Lt Jones then deployed to Southeast Asia and served with the 435th Tactical Fighter Squadron at Ubon Royal Thai AFB, Thailand, from July 1967 until he was forced to eject over North Vietnam and was taken as a Prisoner of War on January 18, 1968. After spending 1,882 days in captivity, Capt Jones was released during Operation Homecoming on March 14, 1973. He was briefly hospitalized to recover from his injuries at Westover AFB, Massachusetts, and then regained flight status and served with the 308th Tactical Fighter Squadron at Homestead AFB, Florida, from January 1974 until he left active duty on June 1, 1976. After leaving the Air Force, Bob flew for American Airlines for 27 years, retiring as an International Boeing 777 Captain in 2003. He and his wife Freya have one son, Alec, and Bob has three children from a previous marriage-Matt, Kate, and Courtney. 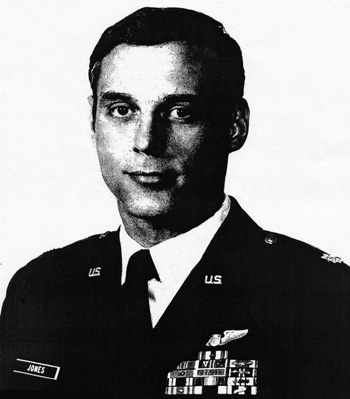 First Lieutenant Robert C. Jones distinguished himself by gallantry in connection with military operations against an opposing armed force as an F4D Pilot over North Vietnam on 18 January 1968. On that date, Lieutenant Jones delivered his ordnance on an important strategic target in the face of intense antiaircraft artillery fire, tracking surface-to-air missiles, and attacking hostile aircraft. With exceptional boldness and courage, Lieutenant Jones then engaged the hostile aircraft in close air to air combat. As a direct result of Lieutenant Jones's efforts, his target was heavily damaged, and one hostile aircraft was shot down. 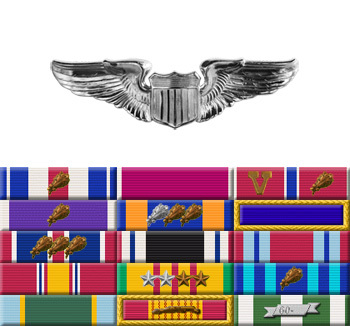 By his gallantry and devotion to duty, Lieutenant Jones has reflected great credit upon himself and the United States Air Force.